There has just been another significant wound care acquisition. French MNC URGO Medical just announced the M&A of Texas-based SteadMed Medical. The resulting entity will be known as Urgo Medical North America. Clockwise from top-left: 1) The EWMA conference in Europe; 2) a surgical conference in Asia; 3) a pharmacy in a developing market; 4) and a wound care center in a different developing market are examples of places where URGO products have a presence side-by-side with other global and local brands. URGO’s “Prepare–>Clean–>Accelerate–>Close” is their slogan for topical treatment selection, which also corresponds to URGO product packaging. Multiple other tapes, films, gels, etc. Notably, URGO is not currently involved in the “active healing” segment: As of this writing, they have no NPWT, allografts, oxygen enhancers, etc. Whether they introduce one or more active healing “anchor products” into their portfolio remains to be seen. In Europe particularly, they are considered one of the market share leaders across certain care sites (France, where they are headquartered, being one of the larger European wound care markets). SteadMed is a Texas-based wound and skin care product distributor who has over the years become a major player in the US, with operations in Canada and Mexico as well. As they have over 40 employees and a presence in virtually all major US regions, in addition to their activities in Canada and Mexico, we at Diligence Wound Care Global have sometimes referred to them as “the most significant North American distributor who is not also a principal” (in other words, they license products developed and/or produced by other companies for sale within a specific geography). SteadMed has historically not attempted to develop a full-line of advanced wound products (foams, alginates, collagens, allografts/xenografts, etc. ), instead focusing on certain niche products. They especially established themselves with Drawtex (hydroconductive dressings), and a few years ago launched Vashe (hypochlorous acid cleanser and wipes), which they quickly grew to the overwhelmingly top US cleanser by market share–across a diverse range of clinical care sites. For several years, they distributed XPansion, a single-use split thickness skin grafting kit, which they recently relinquished to the Maryland-based acellular matrix producer, ACell. And just this summer, they announced that they are taking over distribution of Hollister’s Restore and TRIACT lines since the announced wound care divestment. The impact of the URGO acquisition on distribution of Restore and TRIACT is to be seen, as there is significant overlap between those brands. Clearly, there is some overlap between some of the the URGO and SteadMed / Restore product lines. However, this is a bit misleading, since Restore TRIACT products were actually leveraging an URGO technology. So in essence, the Restore brand’s transition to SteadMed was more of a stepping stone than anything else. URGO products will need to move through the FDA approval process, inventory must make its way into the supply chain, and the sales and marketing teams will need to understand the new products and how they fit in with the existing ones, too. This will all need to be sorted out for the rest of 2018 and into 2019. As a result, the portfolio is likely to be fluid during the integration period, with changes to be expected. SteadMed Founder, President, & CEO Michael Steadman will continue to lead the firm, and its main office will remain in the Dallas-Forth Worth, Texas area. 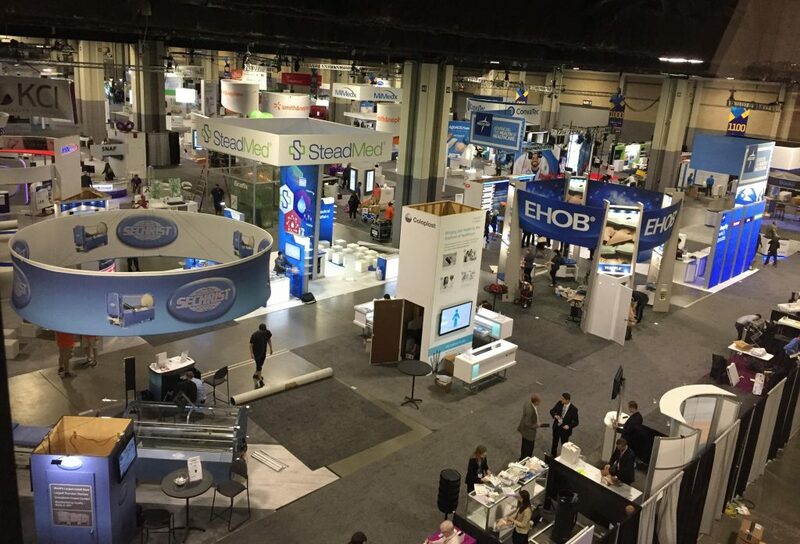 The SteadMed exhibition booth surrounded by multinational wound care brands after a recent SAWC in the US. Going forward, the company will become URGO Medical North America, though their Dallas-Fort Worth headquarters and most of the regional management team will remain the same. 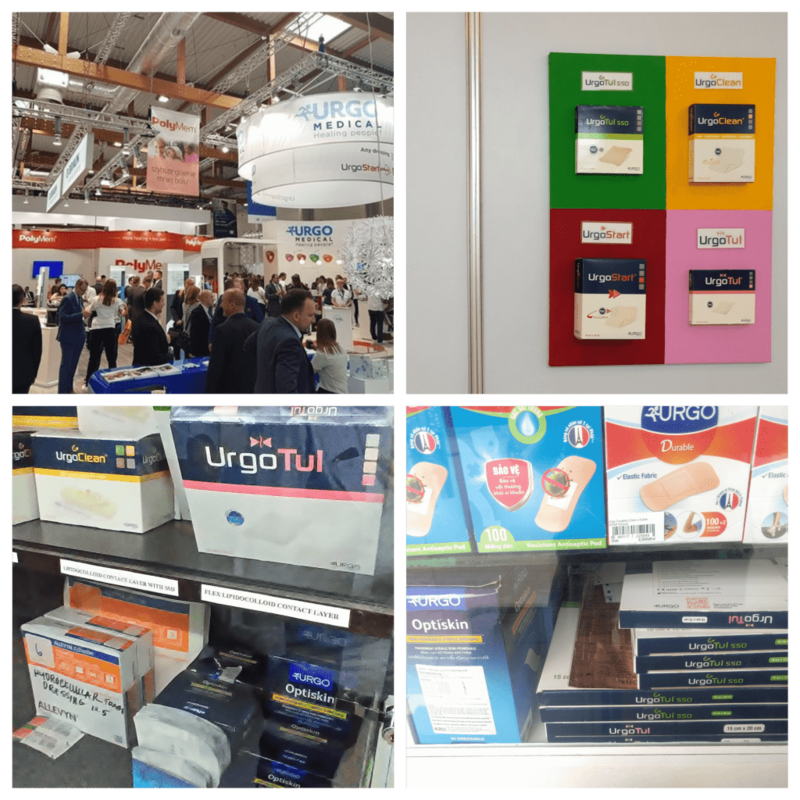 Although URGO is a major global wound care player, they were clearly latecomers to the largest market in the world, The United States. US wound care sales channels can be especially difficult to navigate, and customer intimacy has traditionally been a key success factor for firms in this space. Beyond the unique sales and marketing considerations, the healthcare payment and reimbursement systems in the US are complex and evolving. Finally, the regulatory landscape can be challenging, though for URGO’s current portfolio this should not present much of a challenge (though it may be for future products in their R&D and M&A pipelines). For URGO, the acquisition of SteadMed allows them to play “catch-up” in the US. They’re gaining access to a relatively sizable and competent sales force with existing relationships and channels spanning advanced wound centers, physician offices, the operating room, inpatient wards, home healthcare, and skilled nursing facilities. On the one hand, breaking into new accounts with primary and secondary wound dressings is difficult. On the other hand, adding them to the “bag” of existing sales teams (and their existing relationships) can exponentially decrease cost of sales and boost sales force effectiveNess and ROI. Recently, there have been trends of renegotiation and consolidation of contracts as well as increased movement towards alliances and consortia, which we have analyzed as well. Most importantly, just like with Integra’s acquisition of DermaSciences, this news means the landscape has gotten all the more competitive (although some of that may have been offset by Hollister’s recent exit from the wound care space). In the mid and especially long terms, the US activities and volumes will provide URGO with increased economies of scale–both manufacturing and marketing–potentially boosting their margins and/or pricing attractiveness. …this is a perilous yet exciting time to be in advanced wound care. Both the patients and the landscape are simultaneously increasing in complexity. Do you have the right investments and contingencies in place? Are you confident in your path forward? Reach out to us to discuss your unique wound care business situation.